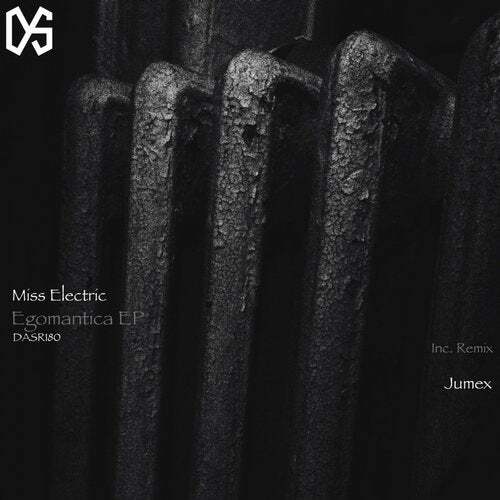 Dark and Sonorous Recordings presents: "Egomantica EP" by Miss Electric with remix by Jumex. As far back as anyone can officially recollect, Miss Electric has always found a special and unique niche amongst the myriad of electronic sounds discovered in the early 90s under the generalized guise of electro-techno. Whenever the exact moment can be pinpointed or not, she has begun a lifelong synergetic relationship with such forms of sounds and music, often seemingly becoming one with the rhythmic and pulsing beats. Her unique and unmistakable style whether she explores deeper/darker more hypnotic techno or lighter house-flavored sounds can easily be recognized by her mastery of the mixing tables as well as blending in various elements from a wide variety of sources, creating a completely new audio musical experience every time. Enjoy!